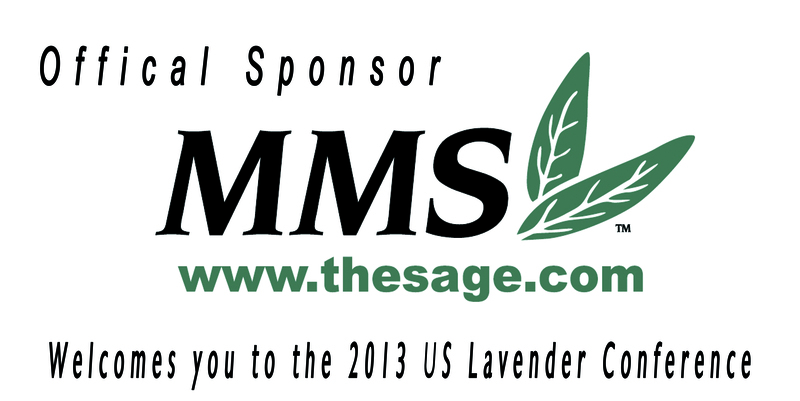 The inaugural United States Lavender Conference was held October 18 - 20th, 2013 in Richmond, Virginia. It was an outstanding success and we made many new friends and learned so much! THANK YOU to everyone who attended, our Sponsors, Speakers, Vendors, and Volunteers! See the USLC 2013 schedule, speakers, sponsors, vendors, and get conference resources. USLC 2013 Conference Resources (password protected) - presentations, People's Choice results, pictures, and more! Reception, quesadilla bar and signature drink Matt Lohr, Va. Commissioner of Ag. Dr. Arthur O. Tucker is Emeritus Professor and Co-Director of the Claude E. Phillips Herbarium at Delaware State University, Dover, DE. He published the pioneer papers on the botanical nomenclature of lavandin (Baileya 21:131-133. 1981), the chemistry of cultivars of lavender and lavandin (Perfumer & Flavorist 9(4):49-52. 1984) and history and description of cultivars of lavender and lavandin (Baileya 22:168-177. 1985). He also established that lavandin grows best with light-colored (e.g., sandy or gravelly) mulches (HortScience 19:526-527. 1984). He has published, with Dr. Brain Lawrence, a chapter on essential oil production and other commercial uses of lavender/lavandin in the book The genus Lavandula.by Tim Upson and Susyn Andrews (Kew, 2004). He is the co-author of The Encyclopedia of Herbs (Timber, 2009). His hundreds of publications on botany, horticulture, and chemistry (essential oils) are on his web page: http://cars.desu.edu/faculty/atucker/. In his retirement, he has re-invented himself as a sculptor, mostly in concrete media, and focused his attention on his family and garden (which was on the cover of Southern Living in April 2003). Dr. Curtis Swift has thirty-two years experience as a Colorado State University Area Extension Agent and has a Ph.D. in Plant Pathology from Colorado State University. He has traveled the world in conjunction with USDA and CNFA to provide training on many areas, including: irrigation, soil management, onion value chain assessment, greenhouse producers, plant production, and fertility management. Dr. Swift retired as an Extension Agent in 2012 and started his retirement with his own business – High Altitude Lavender in Grand Junction, CO. He now produces high altitude lavender products which include artisan crafted essential oils and hydrosols, among other things! Dr. Sean Westerveld grew up in Elora, Ontario, Canada (50 miles west of Toronto). He joined the Ontario Ministry of Agriculture and Food and the Ministry of Rural Affairs in 2008 as the Ginseng and Medicinal Herbs Specialist. He received B.Sc. (Agr. ), M.Sc., and Ph.D. degrees in Horticulture from the University of Guelph in Ontario, Canada from 1996 to 2005. His education focused on plant pathology and plant nutrition. Sean worked as a post-doctoral fellow at the University of Guelph - Muck Crops Research Station and as a research associate and interim leader of the Vegetable and Non-traditional Crops Research Program at the University of Guelph – Simcoe Research Station from 2007 to June 2008. His research focussed on integrated crop management of vegetables and herbs. His primary role in OMAFRA is to support the Ontario ginseng, lavender and herb industries through technology transfer and to provide input into policies that may affect the industry. Sean is also an adjunct professor in the Department of Plant Agriculture at the University of Guelph. Dr. Cindy Jones is a biochemist and herbalist and owns Sagescript Institute in Colorado. She has been formulating and making skin care products for 15 years and has developed a reputation for formulating natural and botanical products. On her farm she grows a variety of herbs including lavender which she uses in skin care. Mike Reichner planted his first 19 lavender plants back in 1995. He never dreamed he would receive the national then international attention that he has gotten over the past 17 years. Mike was s a Washington State Park Ranger and wanted a hobby to keep his “farmboy” hands busy. Just a short 3 years later he quit his ranger job of 20 years, forfeited his retirement, and poured himself into his lavender farm. Mike and Purple Haze Lavender Farm have since been featured in Forbes magazine, the Paul Harvey radio program, HGTV’s “The Good Life” and Good Morning America. Feature articles about the farm have appeared in Sunset Magazine, The Herb Companion, Gourmet, Journey, Metropolitan Magazine, The Herbalist, real Simple and many more. Mike and his beautiful wife Rosalind, now spend their winters traveling, and fishing at their home in Mulege, Mexico, where he is Santa Claus every Christmas for the village children. Cody W. Lyon serves as Director of Grassroots and Policy Advocacy with the American Farm Bureau Federation. He rejoined the AFBF staff in March 2005. His responsibilities include administering Farm Bureau’s grassroots advocacy program, FBACT; coordinating AFBF policy development and implementation programs; and political education activities. From 2002-2005, Cody was Voter Education Coordinator with the Office of Secretary of State of Georgia where he developed training material and delivered civic and voter education programs throughout the state. He previously worked for the AFBF Public Policy Team from 1998-2000 as the Public Policy Assistant. Cody earned two Bachelor of Arts degrees in political science and history from the University of Georgia. In 2001, he also attained a Masters of Public Administration from the University of Georgia. A native of Georgia, Cody lives in Arlington Ridge, VA with his wife, Rachel, and their daughters, Audrey and Hannah. Elizabeth Inman owns the Purple Adobe Lavender Farm in Abiquiu New Mexico and has been growing lavender on the farm since 2004. 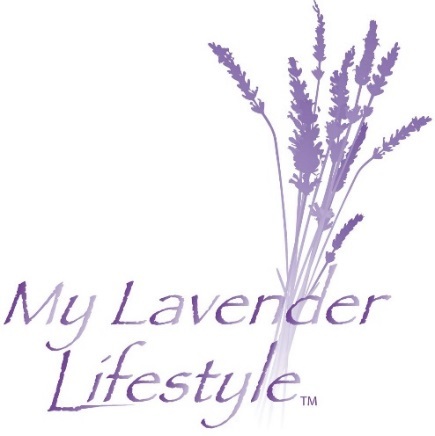 The Lavender Farm was created from vision to concept with many varieties of lavender used in her all natural bath and body lavender product lines. She has been featured in magazines such as New Mexico Magazine, Su Casa, Local Flavor and various articles written in local publications. She uses lavender distilled on their 22 acre farm in Abiquiu New Mexico. Elizabeth also grows and sells over 4000 lavender plants a year wholesale and retail that have been propagated from farm stock in the lavender fields. She provides not just a purchase but an education to her customers about growing lavender and what it can be used for and how to care for lavender. She has taught classes on distilling, growing, harvesting, craft making, and value added products using lavender, as well as how to earn a living on a lavender farm. She teaches how multiple streams of income can satisfy your own personal goals as well as create a living owning a lavender farm. You will find that in her business there is wholesale, retail, farm store, farmers market, internet sales, two lines of lavender products to cover a larger demographic, as well as fairs, studio tours and farm tours. The product lines are in many hotels, spas, and markets like Whole Foods, and Sprouts spanning over 3 states. Elizabeth has created a tourist destination place where guests can just get away and enjoy peace and serenity of the lavender farm while buying from her Lavender Apothecary store or nursery on the farm. Matt Lohr serves as Virginia’s 14th Commissioner of Agriculture and Consumer Services. He was appointed to the position by Governor Bob McDonnell in May 2010. Raised on a century farm in Virginia’s Shenandoah Valley, Matt has been passionate about the agricultural industry his entire life. He was very active in the FFA organization where he served as state president and national vice president in the early 1990’s before graduating from Virginia Tech in 1995. Matt and his family currently operate a 250 acre farm that includes commercial poultry, beef, row crops, and sweet corn. Matt has been deeply involved in the farm bureau organization, winning the American Farm Bureau “Excellence in Agriculture Award” in 2003. He also served several years as his county farm bureau president and chaired both the Rockingham County Planning Commission and School Board. From 2005 until 2010 Matt represented the 26th House District in the Virginia state legislature. Matt was recently elected to serve as the president of SASDA, the southern regional association of state agriculture secretaries and commissioners. 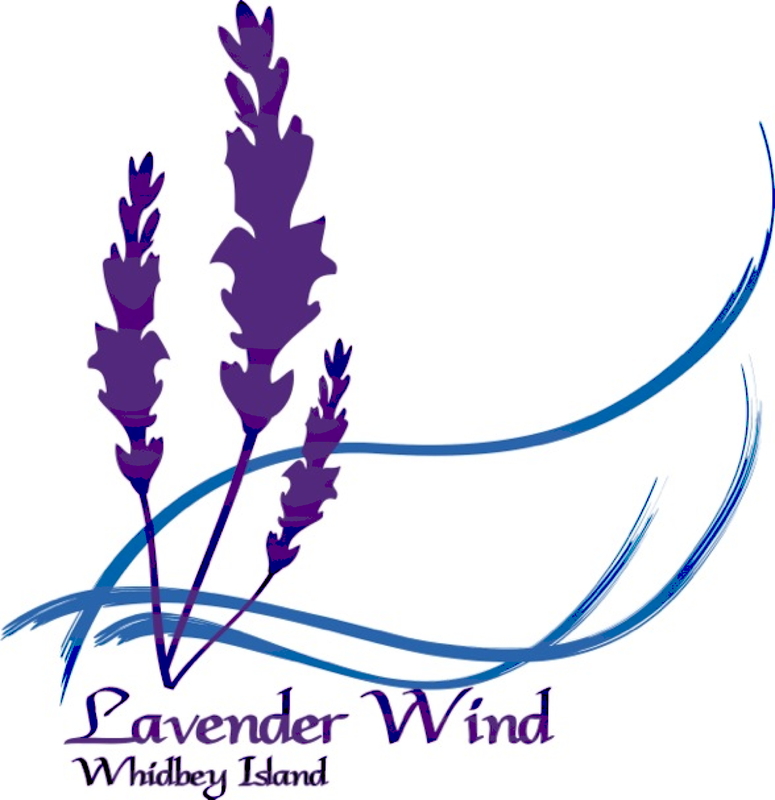 Sarah Richards, owner of Lavender Wind Farm on Whidbey Island, WA created a manufacturing and retail facility in a 1916 home that has been remodeled to suit the purpose. After 12 years of farming lavender and welcoming visitors she needed her privacy at least for 9 months out of the year, so she started planning for the move. Now, two years after the first thought, the new shop is busy with locals and tourists. Erin Yancey is a Regional Planner with the Central Shenandoah Planning District Commission (CSPDC), a regional community development organization. She has worked collaboratively on developing Fields of Gold, a regional agritourism promotion program in the Shenandoah Valley. Fields of Gold was born out of the CSPDC’s economic development program. Erin also manages the natural resources program for the CSPDC. She is a graduate of Virginia Tech and the University of Florida, and lives on her family’s farm in Rockingham Co. Virginia. Leanne DuBois brings with her years of diverse experience in the Horticulture and Agricultural field. She has served as an Agriculture Extension Agent with both Cornell Cooperative Extension in upstate New York and Virginia Cooperative Extension in James City County and New Kent County. Presently she serves as a Program Manager in the Division of Promotions and Market Development for the Virginia Department of Agriculture and Consumer Services. There her duties include developing and implementing programs to facilitate the growth of direct marketing opportunities for Virginia agricultural producers. Areas of focus include entrepreneurial development, agritourism, farmers’ markets, specialty crop production, organic production and community supported agriculture (CSA). She also manages the Virginia Grown marketing campaign and serves as the state coordinator for the Virginia Farm to School program. The art of tea blending comes naturally for Patricia Guillouard Adams, the creator and proprietor of CaryTown Teas, born and raised in Paris, France she was schooled by her maternal grandmother from an early age in the culture, art, and traditions of fine tea blending. After traveling the world Patricia moved to New York City where she owned a successful designer fashion boutique. Patricia relocated to Richmond in 2005 to fulfill another dream of hers to create Richmond’s only old world tea shop salon, similar to those she grew up with in France. Mary Bergstrom assembled the Organizing Committee to build the USLGA and served as the Founding President. She has a business and technology background and graduated with a Masters in Internet Technology. Mary has worked with web analytics for the last 7 years; and this background in analytics lead to her interest and involvement in measurement. Mary and her husband Tim, have been interested in the lavender industry ever since they saw their first lavender farm in May 2010. They currently have a backyard full of plants and are looking for farmland. Roger Inman (husband of Elizabeth Inman) has been working on lavender insurance for over five years for their Purple Adobe Lavender Farm. He has explored every avenue he could find and has finally found a way to obtain coverage through government programs. Although the process has been a long one, this initial coverage will make it easier in the future for all lavender farms in the US to obtain coverage. Roger will present his findings and coverage opportunities to the US Lavender Conference attendees. THANK YOU to our sponsors for their participation in and support of the inaugural lavender conference! Gary Bizjak [email protected] 1-800-645-9764 www.arnoldlarson.com Signatures NorthWest Inc.
Jeff Brittle [email protected] www.floragenics.com FloraGenics Distillation Systems, Inc.